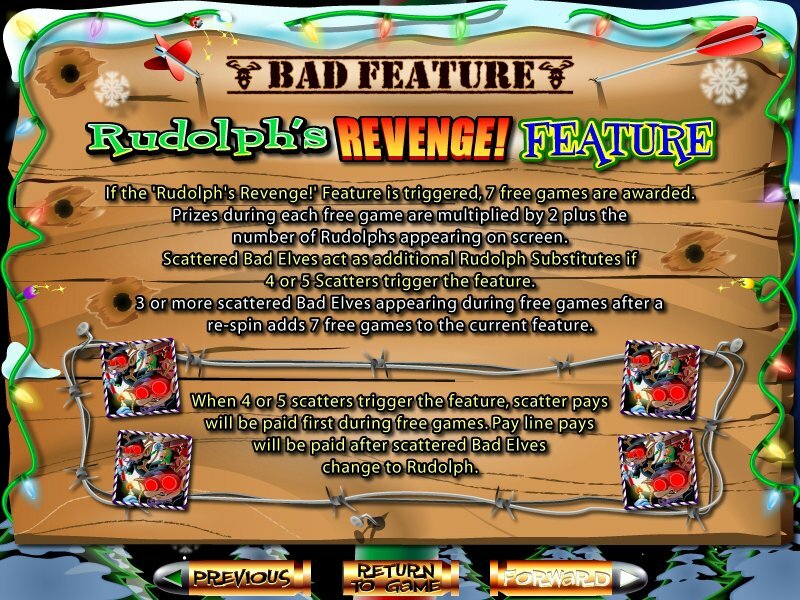 Overview: The epic battle continues in The Elf Wars, the latest installment in the explosive "Rudolph" series, brought to you by Real Time Gaming. 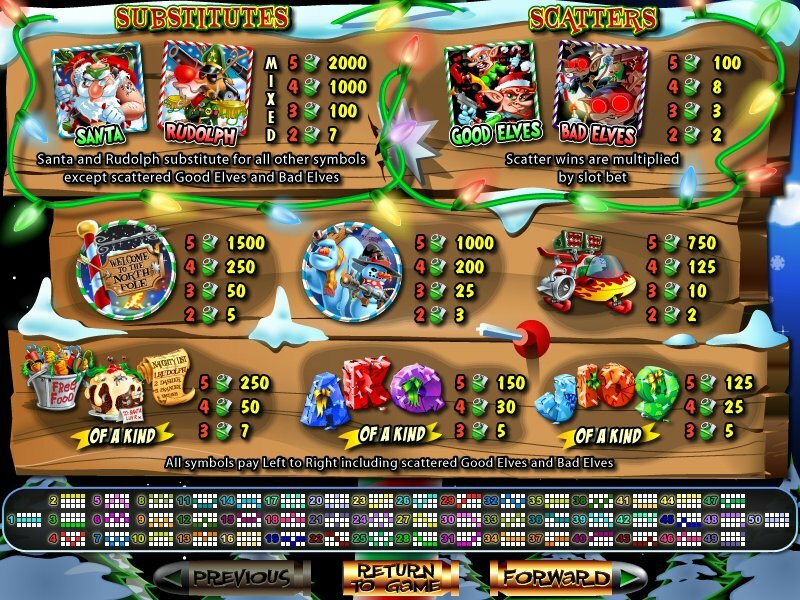 The Elf Wars sees the action intensifying, as the elf factions splinter off to ally with Santa and his North-Pole guardians, or join the rebellious Rudolph and his thugs who are determined to seize control of the lucrative present-trade. 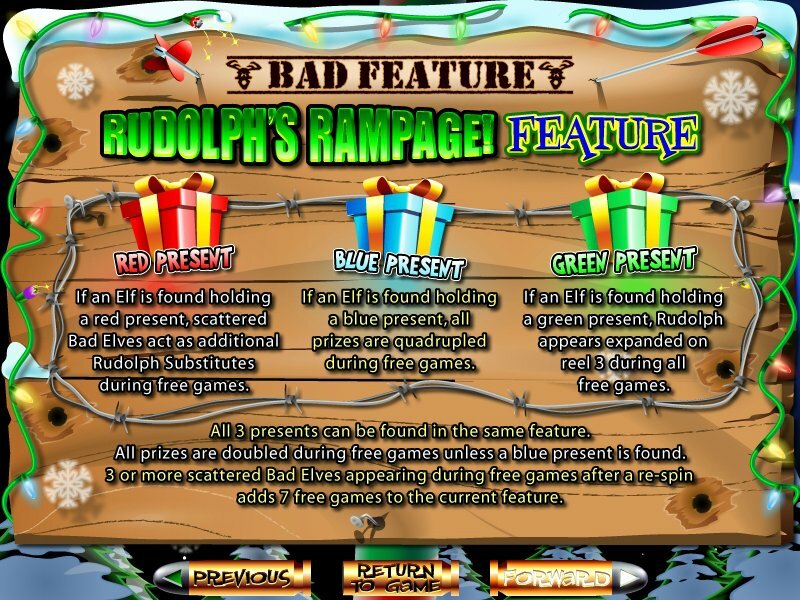 Santa and Rudolph are Wilds, supported by teams of Scattered Good Elf and Bad Elf symbols. 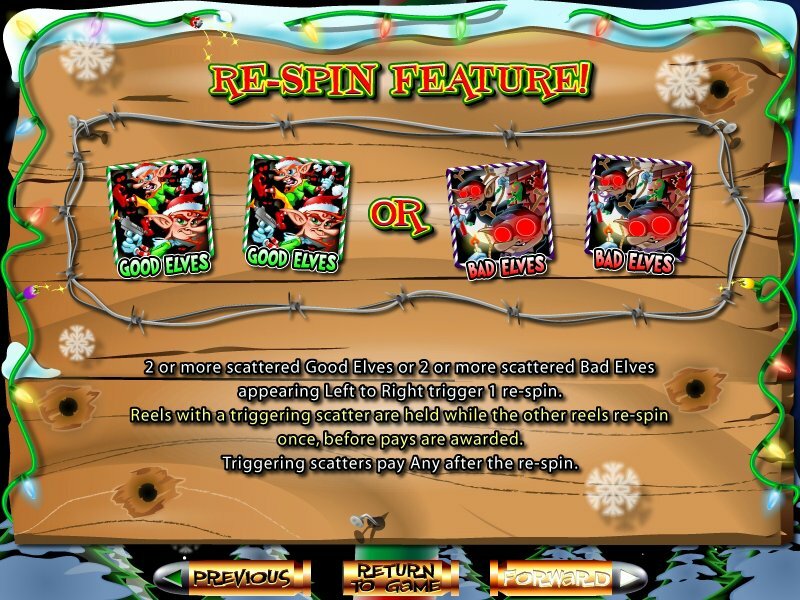 A re-spin gives the chance to trigger 1 of 4 main features, building on the impressive feature set found in Rudolph's Revenge, Santa Strikes Back and Return of the Rudolph. 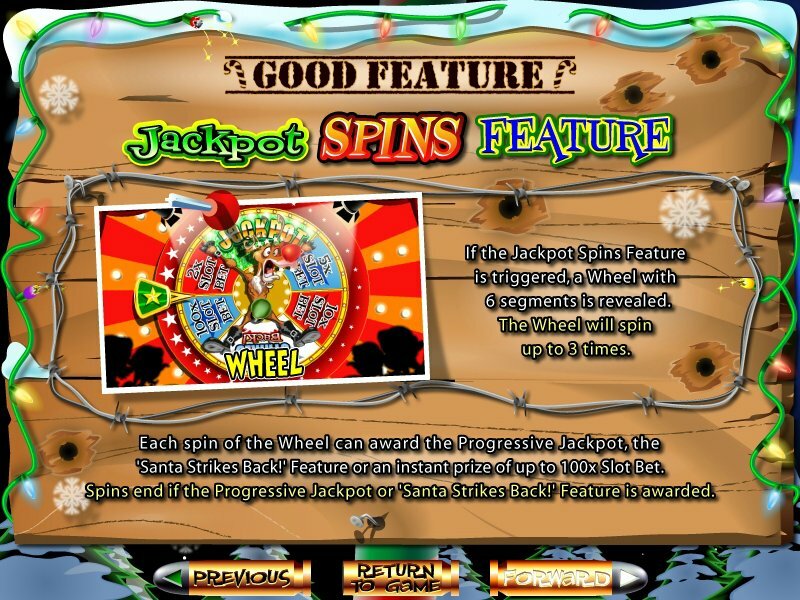 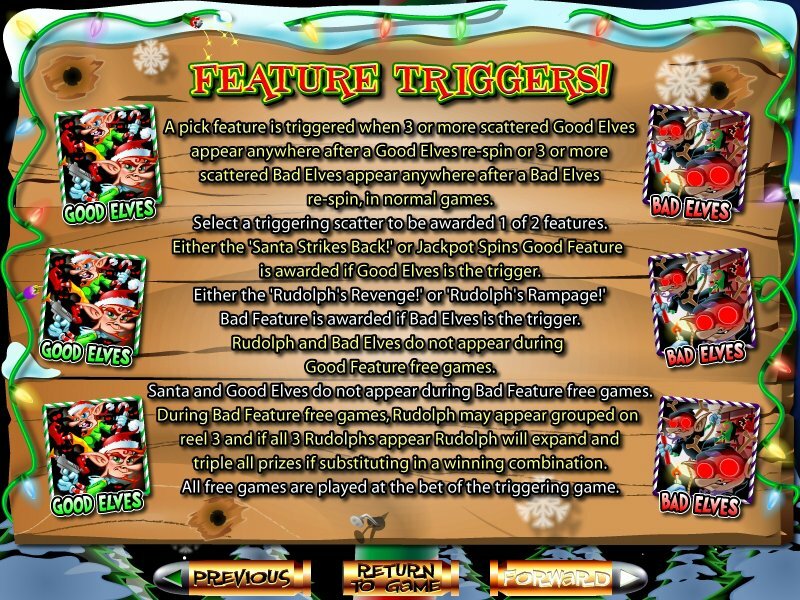 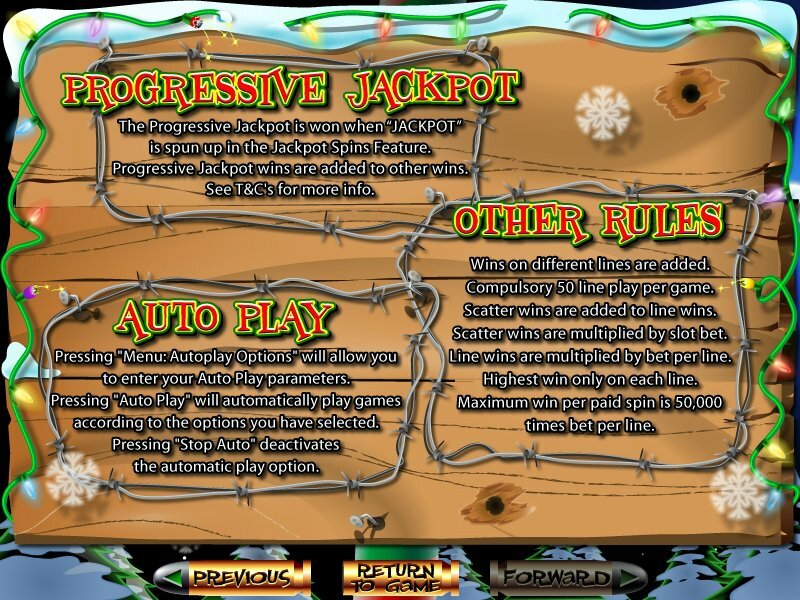 The Elf Wars also adds a new 'Jackpot Spins' feature, which can award instant prizes, the 'Santa Strikes Back' free games, or a huge Progressive Jackpot. 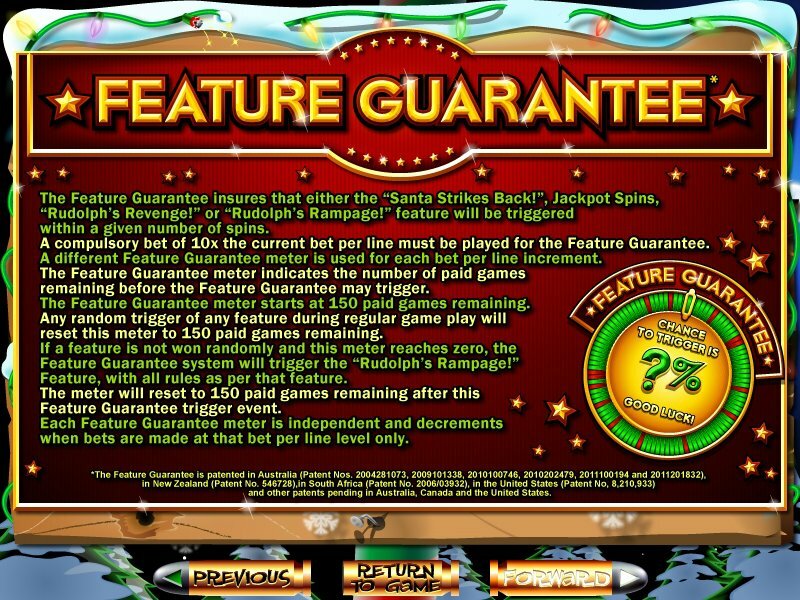 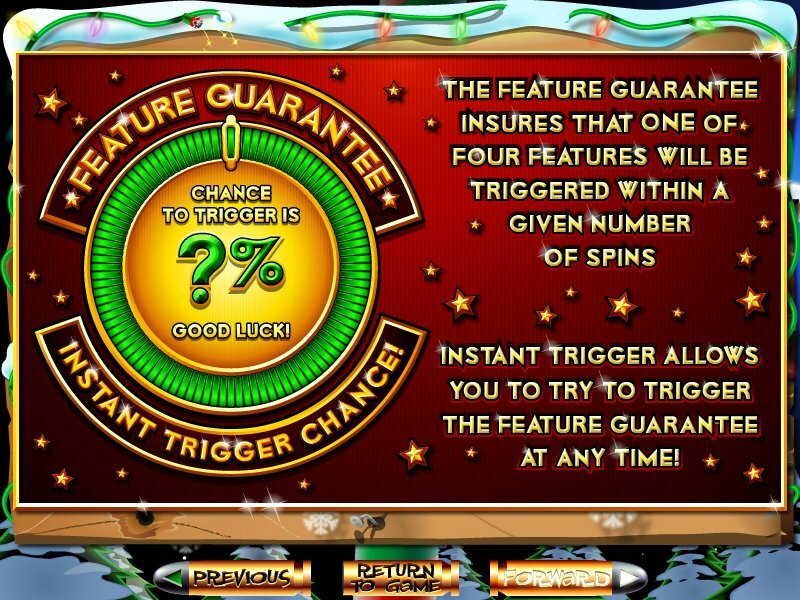 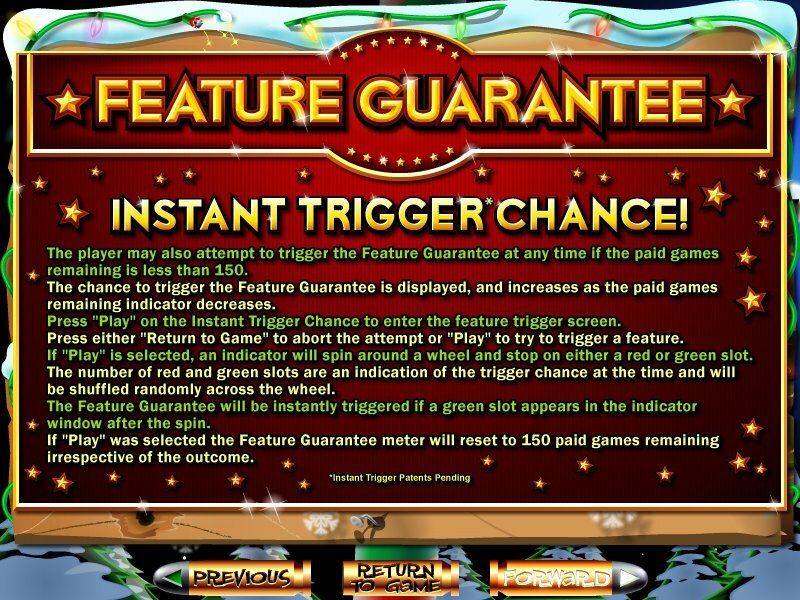 The Elf Wars also uses the patented Feature Guarantee system, ensuring that a feature will be triggered within 150 spins! 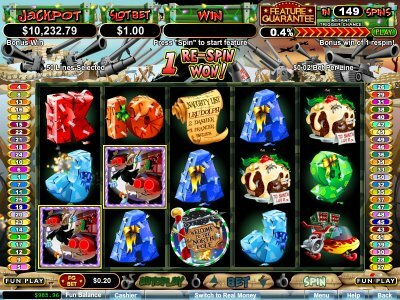 Similar Slots: If you like The Elf Wars, you might like these other slot machines from RTG: Ninja Star, Orc vs. Elf (3D), Paris Beauty, Rain Dance, Santastic!, The Three Stooges: Brideless Grooom.